4.0 out of 5 based on 27 bloggers and 6 commenters. 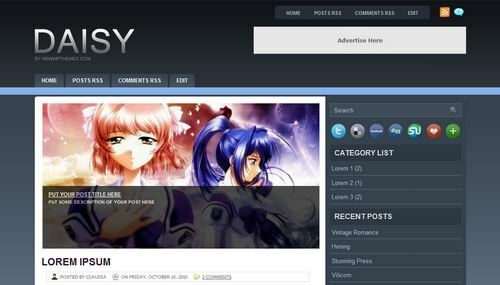 Daisy is a free blogger template adapted from WordPress with 2 columns, right sidebar, rounded corners, ads ready, slider and posts thumbnails. Valeuu! muito bom esse template!!1! This template is not convert by me. This template is convert by BestTheme. please check it. @-The.DarkSearcher-: Sí, es CSS, HTML y jQuery.